February 27, 2016 -- Book blogger Deborah Kalb featured an interview with Chuck and Dave about Doubletalk. March 10, 2015 -- Chuck gave a speech about political language to the American Congress of Obstetricians and Gynecologists at its annual Washington conference. Feb. 26, 2015 -- Christian Science Monitor article, "Note to politicians: 'Gotcha questions' are ever with us, but not always fatal"
Feb. 23, 2015 -- David spoke at Harvard University's John F. Kennedy School of Government on "Party Politics, Negotiation & Conflict Resolution In A Partisan Era." Jan. 21, 2015 -- Christian Science Monitor article, "Republicans call President Obama's tax proposal 'non-starter': What do they mean?" Jan. 16, 2015 -- Christian Science Monitor article: "Why 'bridge builder' is IN for 2016 (but may be OUT for Chris Christie)"
Jan. 9, 2015 -- Christian Science Monitor article: "New Congress: Are Republicans honing their inner 'institutionalist'?" Dec. 31, 2014 -- Christian Science Monitor article: "Why a 'manufactured story' is often in the eye of the beholder"
Dec. 29, 2014 -- Virginia Public Radio profiled Dog Whistles in an interview with Chuck after the Richmond, Va., book signing. Dec. 26, 2014 -- Christian Science Monitor article: "Why the 'donor class' matters, especially in the GOP presidential scrum"
Dec. 18, 2014 -- Christian Science Monitor article: "Jeb Bush says he wants 'conversations with citizens.' Does he mean it?" Dec. 13, 2014 -- Chuck signed books at the Barnes & Noble in Richmond, Va.
Dec. 11, 2014 -- Christian Science Monitor article: "Congress’s real reason for passing a budget? The smell of 'jet fumes.'" Dec. 5, 2014 -- Christian Science Monitor article: "Landrieu Battle Cry - 'The Only Poll That Matters is on Election Day.'" Dec. 3, 2014 -- Chuck and Dave appeared at the University Club Meet The Authors Night And Book Fair, in Washington, D.C.
Nov. 24, 2014 -- Christian Science Monitor article: "'Grubered' - How did MIT economist become buzzword for Obamacare woes?" Nov. 24, 2014 -- Roll Call article: "Word of the Week - Bold"
Nov. 23, 2014 -- Dave discussed Dog Whistles and his career on C-SPAN's Q&A, the network's flagship interview show. Nov. 23, 2014 -- Chuck discussed Dog Whistles at the Oak Park Public Library. Nov. 21, 2014 -- Christian Science Monitor article "'Elections have consequences': Does Obama regret saying that now?" Nov. 19, 2014 -- Roll Call profiled Dog Whistles in Decoding the Sometimes Mystifying Vocabulary of Politics. Nov. 19, 2014 -- Chuck and Dave will talk about their book at the Washington, D.C. Public Library's Northeast branch. Nov. 18, 2014 -- Chuck and Dave will be signed copies of Dog Whistles at the National Press Club's Book Fair. Nov. 14, 2014 -- Christian Science Monitor article "Politics ain't beanbag." Oct. 27, 2014 -- Dave discussed terms and concepts from Dog Whistles on WCCO radio in Minneapolis, Minn.
Oct. 26, 2014 -- LibraryThing Early Reviewers praised Dog Whistles as "a nice mix of definition and real life examples of the phrases in action." Oct. 20, 2014 -- Dave visited "AirTalk with Larry Mantle" on KPCC radio (NPR in Southern California) to discuss Dog Whistles. Oct. 20, 2014 -- Dave spoke about Dog Whistles at Vroman's bookstore in Pasadena, Calif.
Oct. 19, 2014 -- Dave was interviewed by the Australian Broadcasting Corporation about terms and concepts from Dog Whistles. Oct. 17, 2014 -- Andrew Sullivan's The Dish praised Dog Whistles in "Spoken Like A True Leader." Oct. 14, 2014 -- On the Armstrong & Getty radio show, Dave discussed the Politico Magazine piece and various other terms and concepts from Dog Whistles. Oct. 13, 2014 -- Politico Magazine published the piece by Chuck and Dave How To Talk Like A Politician. Oct. 8, 2014 -- Chuck and Dave discussed Dog Whistles on the nationally-syndicated Dennis Prager Show. Oct. 8, 2014 -- Wall Street Journal language writer Ben Zimmer posted an excerpt of Dog Whistles on his sites, on Vocabulary.com and VisualThesaurus.com. Oct. 7, 2014 -- The Capitol Hill monthly publication Hill Rag reviewed Dog Whistles in "Hacking Through Newsspeak." Oct. 6, 2014 -- Dog Whistles was referenced in a Bloomberg View article, "American Political Jargon." Oct. 4, 2014 -- Chuck spoke with Sirius XM's Jared Rizzi about Dog Whistles. Sept. 30, 2014 -- David participated in a panel discussion at the European Union's Washington office, discussing Dog Whistles. Sept. 28, 2014 -- At the Eisenhower Institute at Gettysburg College, David spoke with students about contents and concepts in Dog Whistles. Sept. 24, 2014 -- On KKSF radio's "The Gil Gross Show" - in San Francisco - Dave and Chuck discussed contents and concepts in Dog Whistles. Sept. 21, 2014 -- David appeared on LI News Radio's "The Christopher Hahn Show" to discuss concepts and content in Dog Whistles. Sept. 20, 2014 – Chuck and Dave signed copies of Dog Whistles at the Barnes & Noble in Arlington, Va. Later they appeared at the New Atlantic Independent Booksellers Association. Hyatt Regency Crystal City. Sept. 18 -- Chuck and Dave spoke to the Green and Healthy Homes Initiative's annual meeting, in Washington, D.C.
Sept. 18, 2014 -- David joined C-SPAN founder Brian Lamb for a video class with Purdue University students. Sept. 18, 2014 -- The political webcast The202 interviewed Chuck and Dave about Dog Whistles and their backgrounds as journalists. Sept. 17, 2014 – Washingtonian magazine online profiled Dog Whistles. 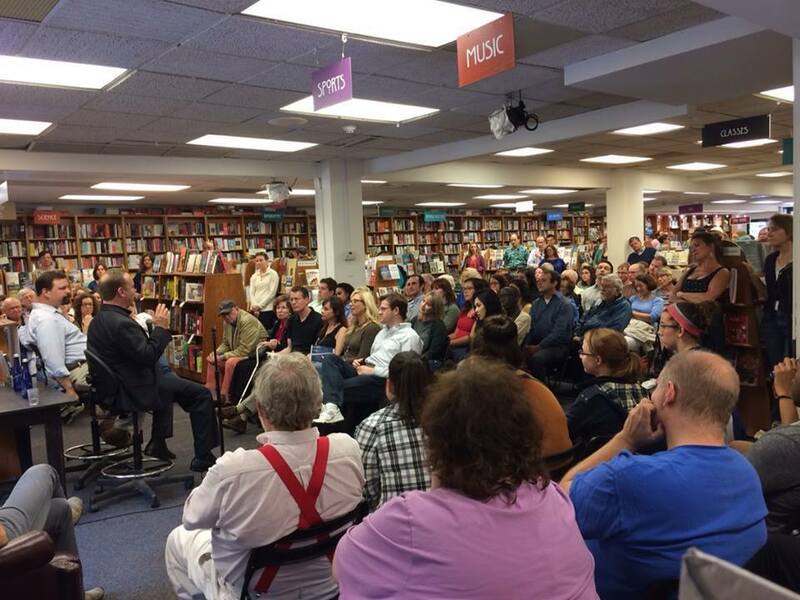 Sept. 13, 2014 – Chuck and Dave officially launched Dog Whistles at Politics & Prose in Washington, D.C., at an event in which books sold out. Sept. 11, 2014 -- David appeared on KQED's "Forum" with Michael Krasny, in an hour-long discussion of Dog Whistles. Sept. 10, 2014 -- David appeared on Hugh Hewitt's nationally-syndicated radio show, discussing Dog Whistles. Sept. 10, 2014 -- David discussed Dog Whistles at Kol Emeth synagogue in Palo Alto, Calif., at the weekly Men's Club meeting. Sept. 10, 2014 -- Political Wire ran a discussion with the Dog Whistles authors, "Podcast: Conversation with Chuck McCutcheon and David Mark"
Sept. 9, 2014 -- The Washington Post's Express ran a quiz based on terms from the book. Sept. 9, 2014 -- Chuck and Dave appeared on host Mike Rosen's show on KOA radio in Denver, in an hour-long segment discussing Dog Whistles. Sept. 8, 2014 -- On Leslie Marshall's nationally-syndicated show, Dave discussed ideas and terms in Dog Whistles. Sept. 7, 2014 -- The Santa Fe New Mexican ran a review of Dog Whistles, "Roundhouse Roundup: Inside the weasel words of politics"
Sept. 4, 2014 -- On Wisconsin Public Radio "The Kathleen Dunn Show," Dave and Chuck discussed terms in Dog Whistles, and current political topics. Sept. 3, 2014 -- On Rare.us, Dave published the article "How Ron and Rand Paul’s campaigns have changed our political language." Sept. 2, 2014 -- Mike Allen's must-read Politico email newsletter featured the launch of Dog Whistles. Sept. 2, 2014 -- For the official release of Dog Whistles, Chuck and Dave were guests on KCUR-FM's "Up to Date" in Kansas City. The book also was excerpted in Real Clear Politics and National Journal. August 27, 2014 -- Washington journalist Deborah Kalb features Dog Whistles on her books blog. August 10, 2014 -- Chuck appeared on AmericasDemocrats.org to discuss Dog Whistles. July 16, 2014 - Dave appeared on the Australia Broadcasting Corporation program Late Night to discuss Dog Whistles and other aspects of political marketing. June 21, 2014 – Taegan Goddard's Political Wire, a premier site for politics-related news and information, called Dog Whistles a "must read." May 30, 2014 – Publisher's Weekly wrote about UPNE's new line of popular political books, ForeEdge, citing Dog Whistles as one of its top titles. 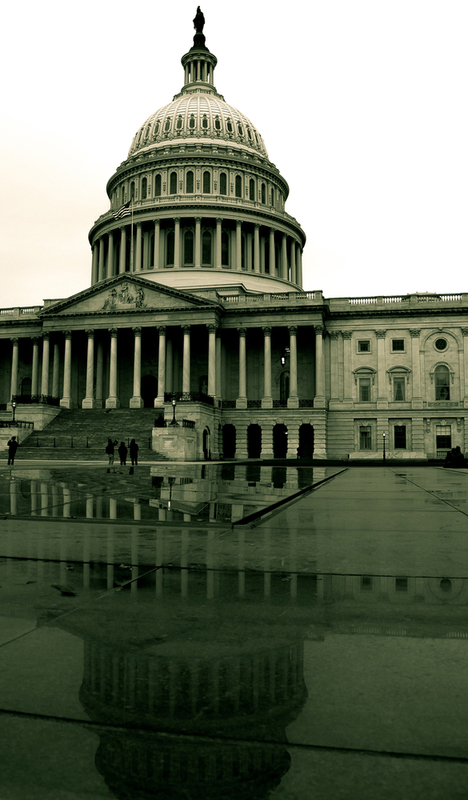 Chuck McCutcheon and David Mark are gathering the world's most extensive collection of political jargon and lingo. Check out the Jargon List and be sure to sign up for weekly updates. Chuck and Dave speak at Politics & Prose in Washington.